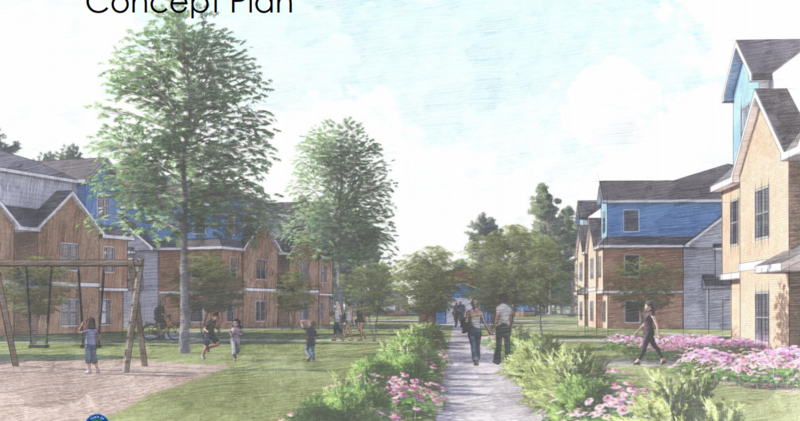 The Chapel Hill Town Council voted unanimously last Wednesday to authorize the town manager to seek developers for an affordable housing project at 2200 Homestead Road. Currently, the housing plan envisioned by the town calls for 140 mixed-income housing units, ranging from low-income to market rate pricing. The layout includes homeownership and rental properties. Town affordable housing manager Nate Broman-Fulks said they are still in the early steps of the process. He told the Town Council plans could be changed when developers or partners are brought onto the project, or by public input. “We do anticipate a robust public input process as well as many points for council feedback and input, throughout,” he said. Broman-Fulks outlined a rough timeline for the project, with partners and a finalized financial plan potentially being brought before the council in 2020. With council authorization, the town manager can approach partners for the project, which might include groups like Horizons UNC or affordable housing non-profits. The current vision includes space for bus stops, an on-site community garden and greenways. Councilmember Nancy Oates stressed the need for more affordable housing units in the area, pointing to a recent survey of town employees that showed 84 percent would like to own a home in Chapel Hill. She said the housing project should focus on the people the town is looking to serve while considering potential developers and partners. Review and approval of the final development plan could be decided by the Town Council in 2021.